Take the next step and try HemaTrate. 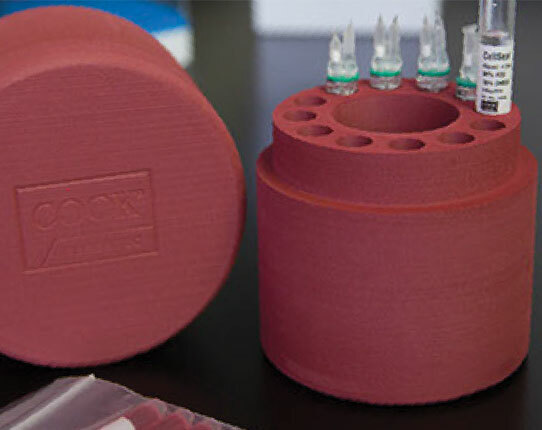 To learn more, review the HemaTrate FAQs below, ask your local Cook Regentec representative for additional information, or contact our Customer Service. 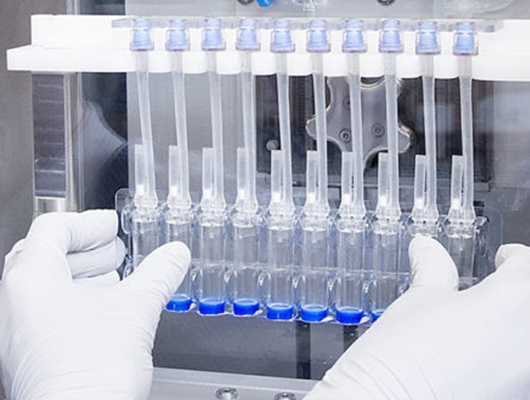 HemaTrate provides a method to prepare autologous cell therapy at the point of care. As anticoagulated whole blood flows through the patented filter, platelets and nucleated cells (white cells) are retained. 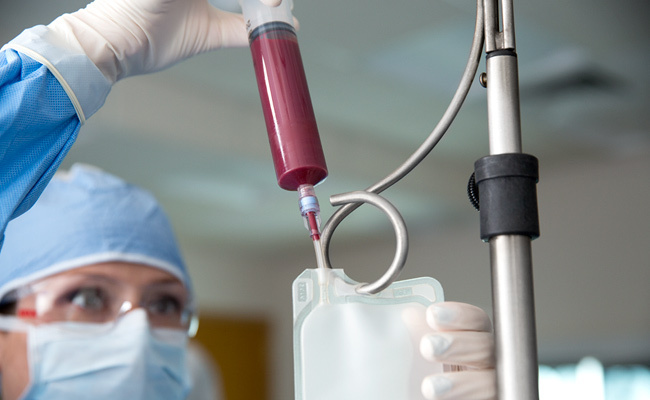 What are the possible cell therapies that HemaTrate can prepare? 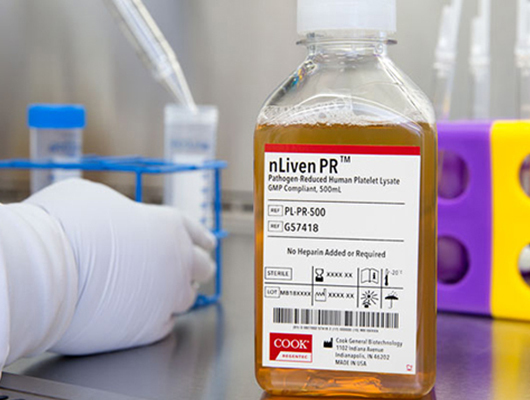 How can HemaTrate prepare two different cell therapy concentrates – fPC or TNC? 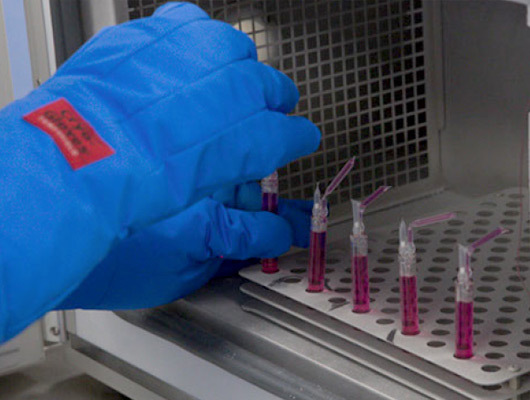 For the preparation of fPC, a small amount of sterile water is added to the collection bag prior to the LOAD step, allowing for the additional capture of platelets by the filter. For the preparation of TNC, no addition of sterile water is required. 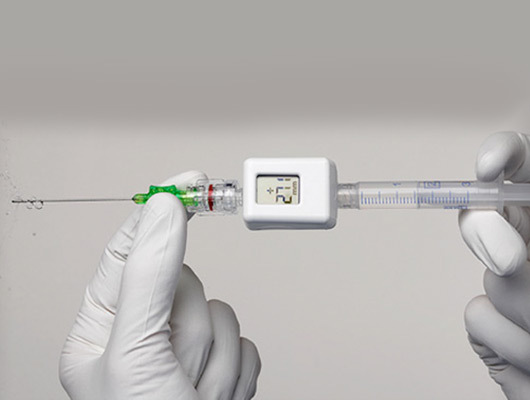 The HemaTrate device is single-use. You cannot prepare both concentrates using a single device. What additional solutions and/or materials are needed? 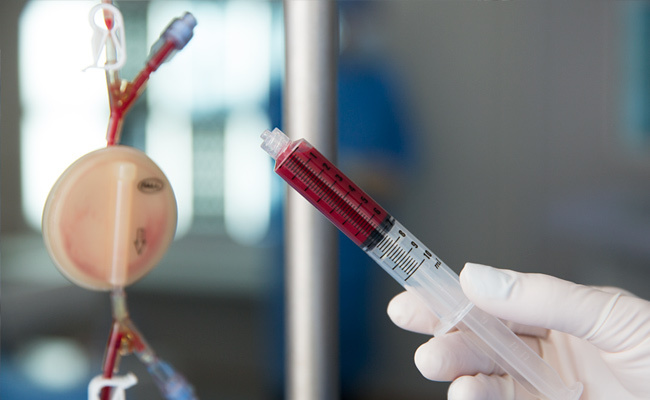 Syringes are needed to LOAD the blood, and RECOVER the cell therapy concentrate. What is the regulatory status of HemaTrate? 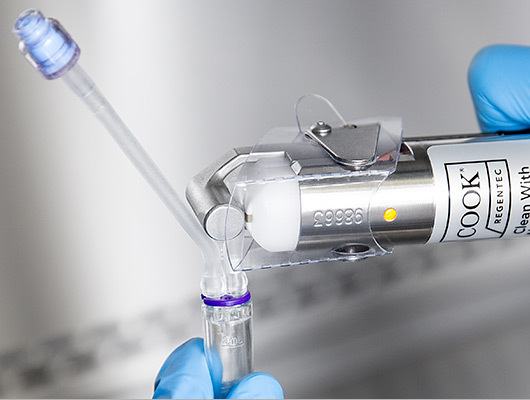 HemaTrate is currently CE marked for the preparation of fPC and TNC for human cell therapy applications. It is not approved or available in all regulatory jurisdictions, including the United States. 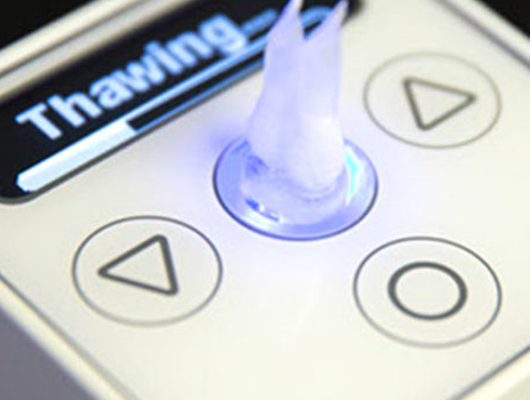 How many times can HemaTrate be used? 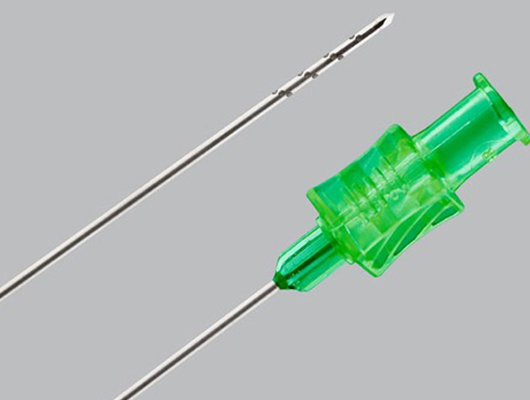 This is a single-use, disposable device. 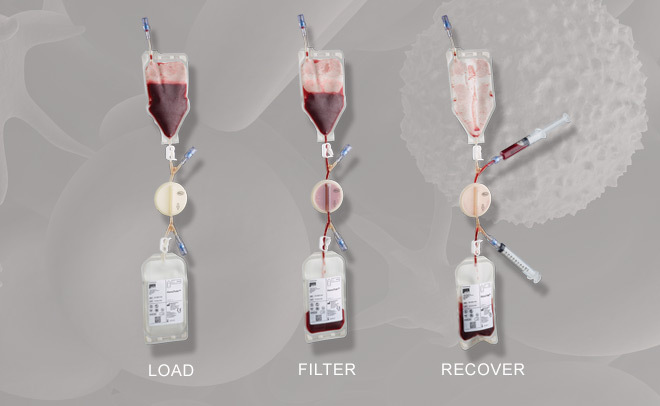 What are the clinical applications of the therapies prepared by HemaTrate? The clinical application of the fPC and/or TNC is determined by the physician. No centrifuge or additional capital equipment is required. Are there any publications supporting the use of HemaTrate? Yes. 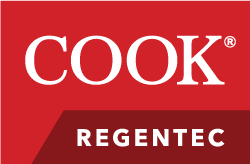 Please contact Cook Regentec Customer Service for assistance. 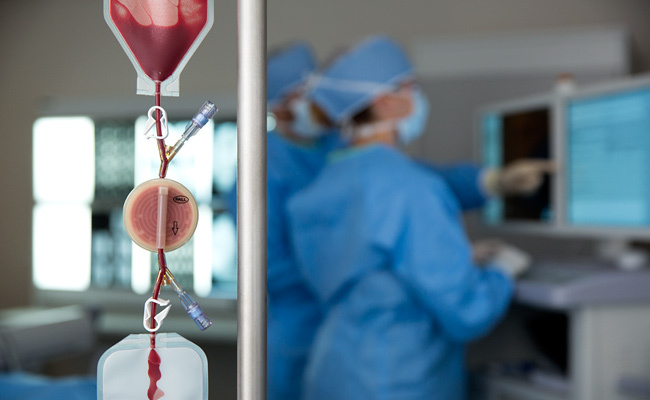 Can HemaTrate be used with bone marrow or cord blood? 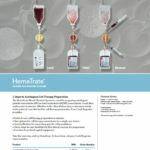 HemaTrate is approved for the filtration of autologous whole blood. 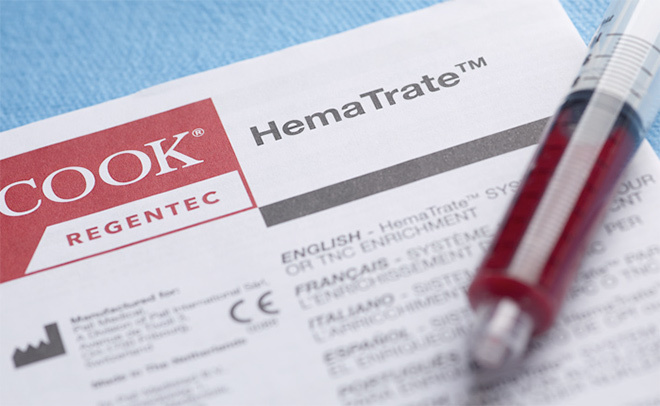 HemaTrate is not approved for the filtration of bone marrow or cord blood. 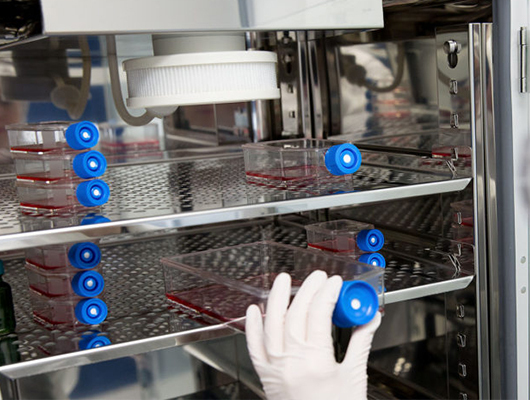 Cook Regentec will provide the necessary training to ensure successful preparation of the cell therapies. How do I order HemaTrate? 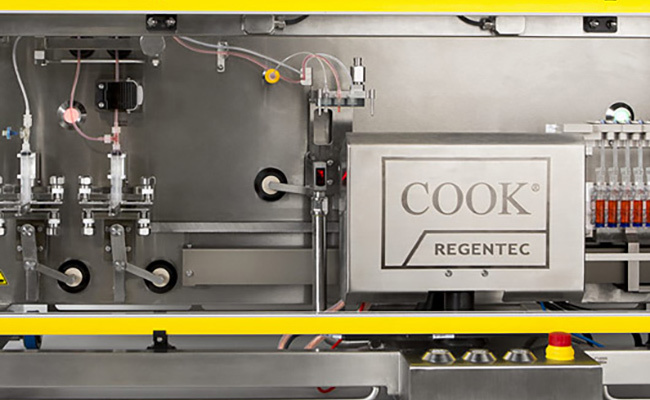 Please contact Cook Regentec Customer service. 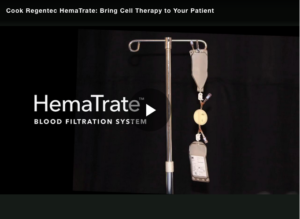 The HemaTrate Blood Filtration System shown on this website is not approved or available in all regulatory jurisdictions, including the United States. Please consult with your local Cook Regentec representative or Customer Service for details.